New South Wales (abbreviated as NSW) is a state on the east coast of Australia. It borders Queensland to the north, Victoria to the south, and South Australia to the west. Its coast borders the Tasman Sea to the east. The Australian Capital Territory is an enclave within the state. New South Wales' state capital is Sydney, which is also Australia's most populous city. 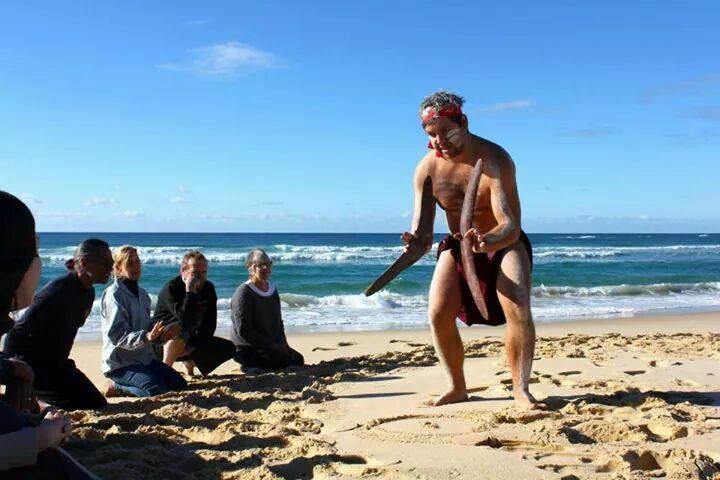 In March 2014, the estimated population of New South Wales was 7.5 million, making it Australia's most populous state. Just under two-thirds of the state's population, 4.67 million, live in the Greater Sydney area. Inhabitants of New South Wales are referred to as New South Welshmen. Travelling from NSW to Victoria in those days was very difficult. Supporters of federation included the NSW premier Sir Henry Parkes whose 1889 Tenterfield Speech (given in Tenterfield) was pivotal in gathering support for NSW involvement. Edmund Barton, later to become Australia's first Prime Minister, was another strong advocate for federation and a meeting held in Corowa in 1893 drafted an initial constitution. In 1898 popular referenda on the proposed federation were held in NSW, Victoria, South Australia and Tasmania. All votes resulted in a majority in favour, but the NSW government under Premier George Reid (popularly known as "yes–no Reid" because of his constant changes of opinion on the issue) had set a requirement for a higher "yes" vote than just a simple majority which was not met. In 1899 further referenda were held in the same states as well as Queensland (but not Western Australia). All resulted in yes votes with majorities increased from the previous year. NSW met the conditions its government had set for a yes vote. 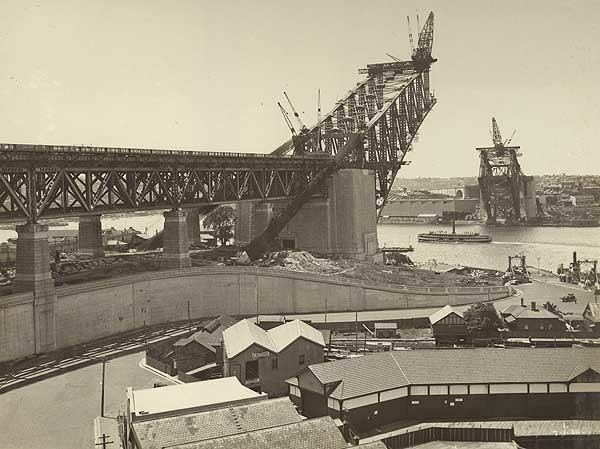 As a compromise to the question on where the capital was to be located, an agreement was made that the site was to be within NSW but not closer than 100 miles (161 km) from Sydney, while the provisional capital would be Melbourne. Eventually the area that now forms the Australian Capital Territory was ceded by NSW when Canberra was selected. In the late 1960s a secessionist movement in the New England region of the state led to a referendum on the issue. The new state would have consisted of much of northern NSW including Newcastle. The referendum was narrowly defeated and, as of 2010, there are no active or organised campaigns for new states in NSW. Executive authority is vested in the Governor of New South Wales, who represents and is appointed by Elizabeth II, Queen of Australia. The current Governor is David Hurley. The Governor commissions as Premier the leader of the parliamentary political party that can command a simple majority of votes in the Legislative Assembly. 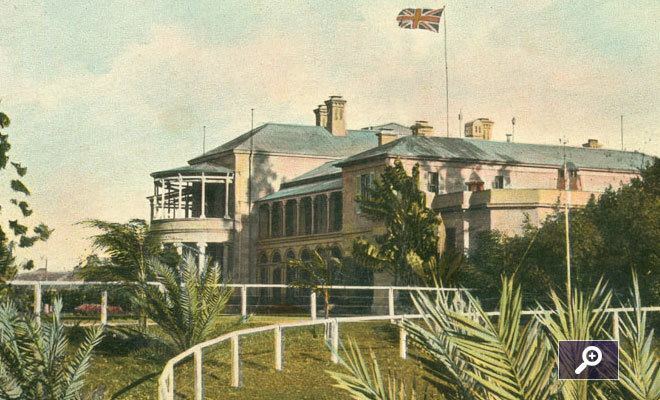 The Premier then recommends the appointment of other Members of the two Houses to the Ministry, under the principle of responsible or Westminster government. It should be noted, however, that as in other Westminster systems, there is no constitutional requirement in NSW for the Government to be formed from the Parliament—merely convention. The Premier is Gladys Berejiklian of the Liberal Party. The first "responsible" self-government of New South Wales was formed on 6 June 1856 with Sir Stuart Alexander Donaldson appointed by Governor Sir William Denison as its first Colonial Secretary which in those days accounted also as the Premier. The State Parliament is composed of the Sovereign and two houses: the Legislative Assembly (lower house), and the Legislative Council (upper house). Elections are held every four years on the fourth Saturday of March, the most recent being on 28 March 2015. At each election one member is elected to the Legislative Assembly from each of 93 electoral districts and half of the 42 members of the Legislative Council are elected by a statewide electorate. The estimated population of New South Wales at the end of December 2016 was 7,797,800 people. The NSW school system comprises a kindergarten to year 12 system with primary schooling up to year 6 and secondary schooling between years 7 and 12. Schooling is compulsory until age 17. The School Certificate was awarded by the Board of Studies to students at the end of Year 10. The Board of Studies administered five external tests in English-literacy, Mathematics, Science, Australian History, Geography, Civics and Citizenship. The tests were designed to grade a student on their ability. The results of this test were categorised into bands 1 through to 6 with band 1 as the lowest and band 6 as the highest. Adrian Piccoli, the NSW Education Minister confirmed that School Certificate tests would not continue after 2011. 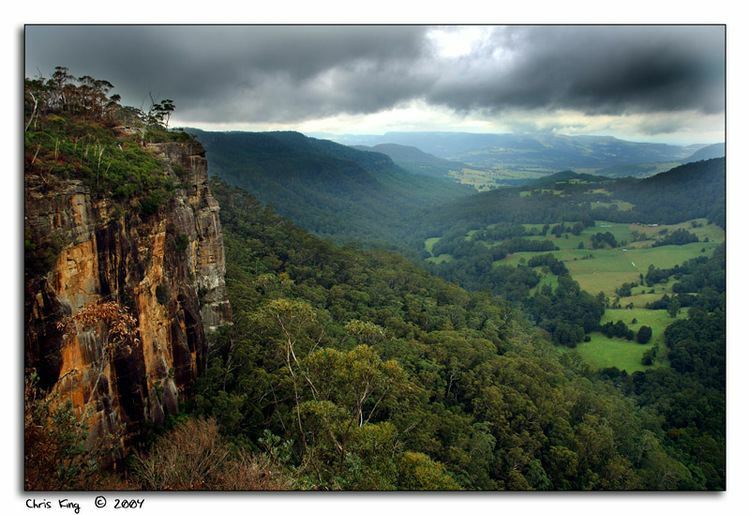 The major part of New South Wales, west of the Great Dividing Range, has an arid to semi arid climate. Rainfall averages from 150 millimetres (5.9 in) to 500 millimetres (20 in) a year throughout most of this region. Summer temperatures can be very hot, while winter nights can be quite cold in this region. Rainfall varies throughout the state. The far north-west receives the least, less than 180 mm (7 in) annually, while the east receives between 700 to 1,400 mm (28 to 55 in) of rain. The climate along the flat, coastal plain east of the range varies from oceanic in the south to humid subtropical in the northern half of the state, right above Wollongong. Rainfall is highest in this area; however, it still varies from around 800 millimetres (31 in) to as high as 3,000 millimetres (120 in) in the wettest areas, for example Dorrigo. Along the southern coast, rainfall is heaviest in winter due to cold fronts which move across southern Australia. While in the far north, around Lismore, rain is heaviest in summer from tropical systems and occasionally even cyclones. About 40,200 hectares of vineyards lie across the eastern region of the state, with excellent wines produced in the Hunter Valley, with the Riverina being the largest wine producer in New South Wales. Australia’s largest and most valuable Thoroughbred horse breeding area is centred on Scone in the Hunter Valley. The Hunter Valley is the home of the world-famous Coolmore, Darley and Kia-Ora Thoroughbred horse studs. The largest sporting competition in the state is the National Rugby League, which expanded from the New South Wales Rugby League and Australian Rugby Leagues whose headquarters are in Sydney. The state is represented by The 'Blues' in the traditional State of Origin series. Sydney is the spiritual home of Australian rugby league and to 9 of the 16 NRL teams: (Sydney Roosters, South Sydney Rabbitohs, Parramatta Eels, Cronulla-Sutherland Sharks, Wests Tigers, Penrith Panthers, Canterbury Bulldogs and Manly-Warringah Sea Eagles), as well as being the northern home of the St George Illawarra Dragons, which is half-based in Wollongong. A tenth team, the Newcastle Knights is located in Newcastle. The City vs Country Origin match is also taken to various regional cities around the state. The state is represented by four teams in soccer's A-League: Sydney FC (the inaugural champions in 2005–06), the Western Sydney Wanderers, the Central Coast Mariners, based at Gosford and the Newcastle United Jets (2007–08 A League Champions). Australian rules football has historically not been strong in New South Wales outside the Riverina region. However, the Sydney Swans relocated from South Melbourne in 1982 and their presence and success since the late 1990s has raised the profile of Australian rules football, especially after their AFL premiership in 2005. A second NSW AFL club, the Greater Western Sydney Giants, entered the competition in 2012. Other teams in national competitions include basketball's Sydney Kings, Sydney Uni Flames, rugby union's NSW Waratahs and netball's Sydney Swifts. Sydney was the host of the 2000 Summer Olympics and the 1938 British Empire Games. The Olympic Stadium, now known as ANZ Stadium is the scene of the annual NRL Grand Final. It also regularly hosts State of Origin matches and rugby union internationals, and hosted the final of the 2003 Rugby World Cup and the football World Cup qualifier between Australia and Uruguay.